This bow is absolutely stunning for the holidays. Every little diva needs a little extra sparkle in their life. 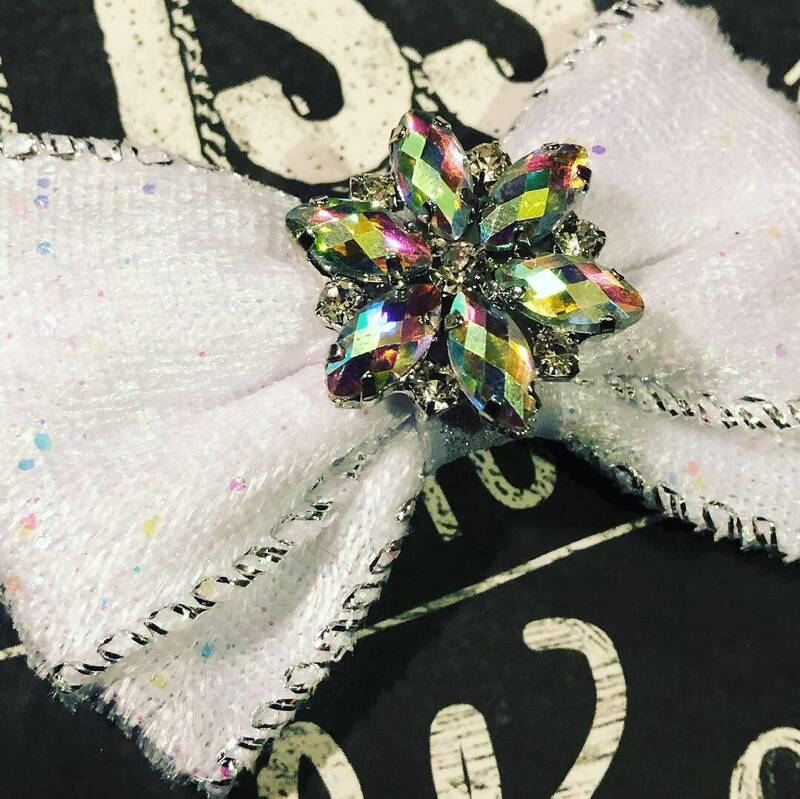 This bow is perfect for small to medium size dogs and is absolutely gorgeous. The bow is extra sparkly for the holiday season. 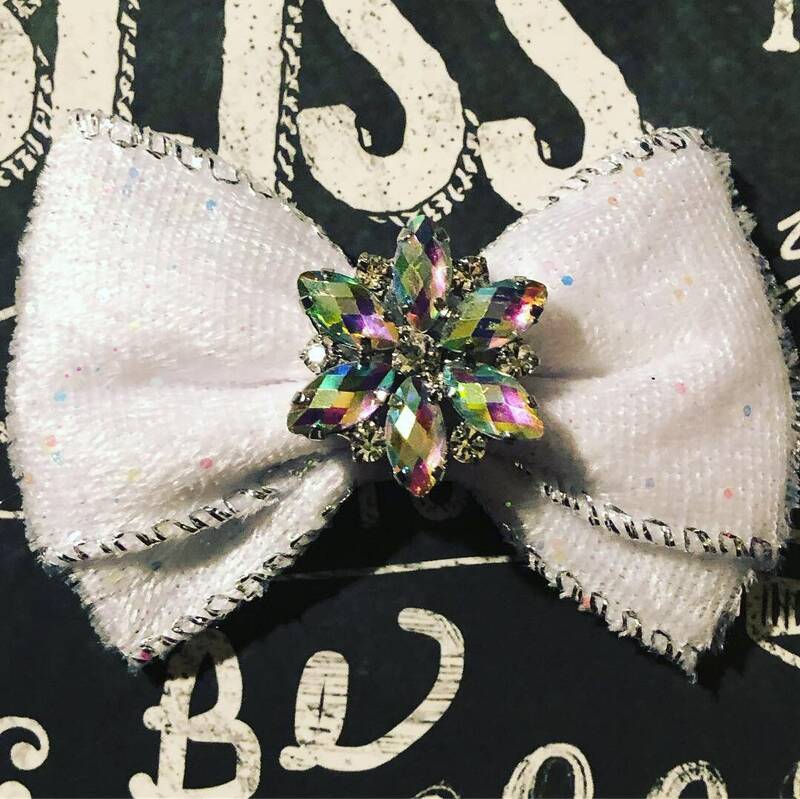 The bow is approx 2" and it is made with a 1 1/2" white/silver velvet ribbon with a beautiful snowflake crystal centerpiece. The bows can be added to a french barrette, alligator clip, or latex groomer's bands. Please specify clip type when ordering. All bows are handmade.